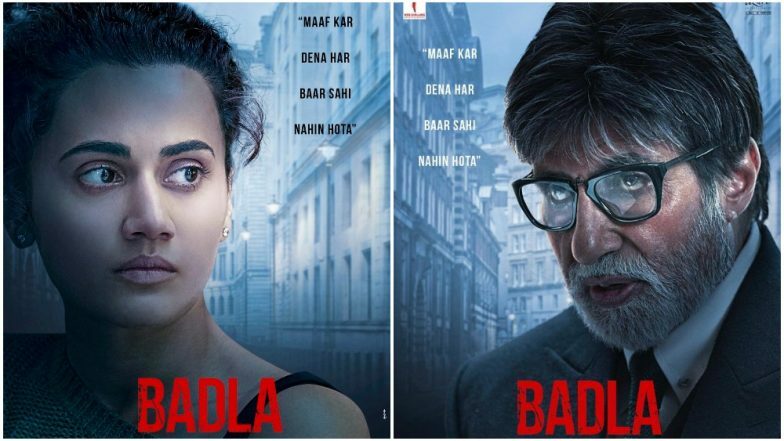 Trade analyst Taran Adarsh revealed the updated figures on the popular microblogging site Twitter a while back saying, "#Badla is holding well, despite limited showcasing [screens/shows]... Lack of major releases has helped... [Week 6] Fri 20 lakhs, Sat 36 lakhs, Sun 45 lakhs. Total: ₹ 87.07 cr. India biz." Further, a report in Boxofficeindia.com has also noted, "Badla sustained very well in its sixth weekend as there was little competition from new releases. The collections are just 20% down from last week. If Kalank was not releasing on Wednesday this film would go above Luka Chuppi." Apart from Big B and Pannu, Badla also features Amrita Singh in an important role along with Malayalam actor Tony Luke, Manav Kaul, and Tanveer Ghani.